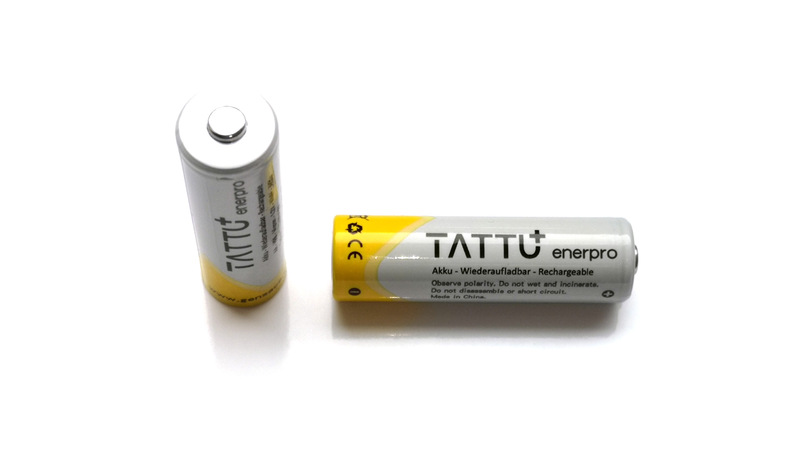 TATTU is a newer brand of batteries by Gens ace, a popular name for high quality and good priced LiPo batteries among RC enthusiasts. Here we are testing their regular 1.2V AA 2100 mAh TATTU Enerpro NiMH batteries as the company also offers higher capacity 2700 mAh model that we plan to check out soon as well. We have previously tested AA NiMH batteries from Gens ace under their own brand, you can check the results here and compare with the TATTU line if you are interested. The TATTU Enerpro NiMH batteries are low self discharge ones that retain high percentage of their initial capacity oer longer periods of time even when not being used for long time and are rated with up to 1000x recharge cycles. The 1.2V AA 2100 mAh TATTU Enerpro NiMH batteries are performing quite well in our tests all the way up to the high 2.0A constant load where the usable capacity shows a larger drop. What we are seeing at 0.2A and 0.5A discharge current is a very similar curve and close mAh ratings, though because of the slightly lower voltage at the higher load the gap in the Wh result is a bit larger. What we are seeing here as well as with our previous tests of Gens ace branded NiMH AA cells is that even at 0.2A load (the lowest we use for AA tests) they are performing a bit under their rated capacity, even though their general performance is very good. In both cases you can say the battery rating should’ve been much better if it was with 100 mAh lower that it is being advertised.